It’s been over half a year since I created this blog, but looking back, I’ve noticed that I have not yet given a a satisfactory explanation of my pseudonym, which is important, since taking it at face value could give a mistaken impression. It is a bit more difficult to describe my political views. They are easiest to define in the negative: I, unlike most of my friends and family, am not a conventional American liberal or progressive. I choose to use the word “apostate” to refer to my turning away from American liberalism because in many ways, that ideology has a quasi-religious structure such that morality is partially tied to politics. 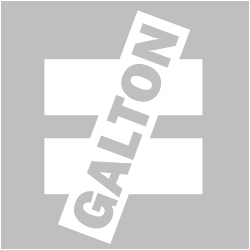 In particular, the concept of equality plays a strong normative role in the worldview of the Left and it is one of the main tenets that I reject, which by the definition set forth by Paul Gottfried, makes me a Man of the Right. I choose to refer to myself as a reluctant apostate because I understand the difficulty of apostasy as a viable route to a worldview and that is that an apostate is defined by what he is not and in opposition to his past worldview. An apostate is giving up a system of beliefs without necessarily adopting a complete replacement. While as an apostate, I reject the structures of thought that predominate the Left, I recognize the dangers that this entails. Just as a religious apostate can fill the newfound void with an even more pernicious worldview, such as Marxist communism, one who rejects the doctrines of the Left must be aware that some of the alternatives lead down a far more destructive path. I’d also like to add my reluctance as an apostate as has some personal roots. Most of my family and the people who I’ve associated with through most of my life would identify as liberal or progressive. The fact that I am writing under a pseudonym is an indicator of the extent to which I am willing to air my heretical views publicly.